Jewel Drop is out! Wait, wait. Sorry. I meant to say Mario Party 10 is out. Now let me tell you about Jewel Drop. Nintendo has unleashed a tenth Mario Party game on the world. What's left to say about Mario Party? I mean, The series has spanned seventeen years. Seventeen! In one more year, Mario Party will be old enough to drive. It’ll be old enough to enlist! Mario Party, as a franchise, is nearing the end of puberty. We could all attend it's graduation ceremony from Nintendo High and watch it throw a cap into the air. 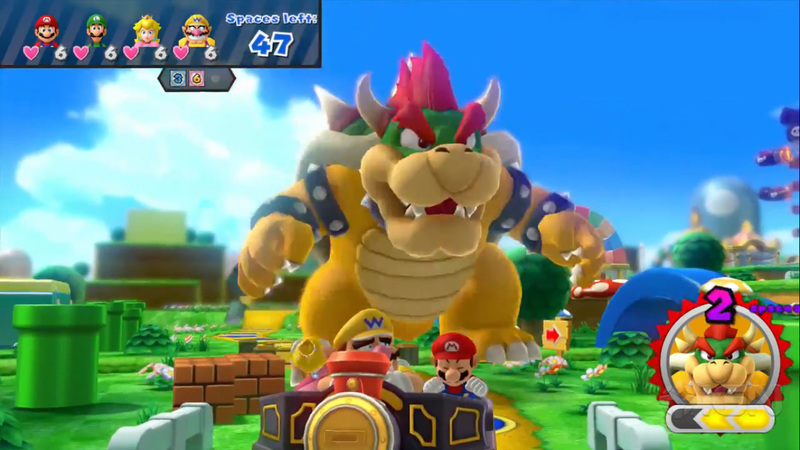 Here we are in 2015 with Mario Party 10 - the fourteenth game in the series. Here's the Mario Party 10 review. Fasta, fasta, must-a go fasta! Such Mario. Many dice. Much excite. Wow. At this very moment, looking at these images, imaging all those new potential mini-games - you already know if you want this game, right? When I think of Mario Party, the first thing to come to mind is a man pumping a dry well for so long he's got a six pack on his left bicep... and yet I still want this game. I can't explain it. It's always a frustrating game of chance -upon-chance... but I can't resist the roll of the die. I'll give credit where it’s due; there's more changes to the formula this time. Boards are now linear with mini-bosses at the halfway mark and a Final Boss at the end. Everyone is huddled in the official Mario Party sled, ensuring everyone moves at the same time. Only the lead player reaps the benefits or consequences of their roll. (Unless they land on a spot that drags the others into a mini-game.) Coins and stars are done away with, replaced instead with mini-stars. Have the most mini-stars at the end? You win! Well, as long as another idiot doesn’t get thirty stars for landing on the most unlucky spaces when the bonus stars get doled out. The rest is what you’d expect. People take turns rolling digital dice. Mini-games happen. People will win at the zero-hour for arbitrary reasons. Stars will be stolen. Friends will be lost. Divorce papers will be filed. 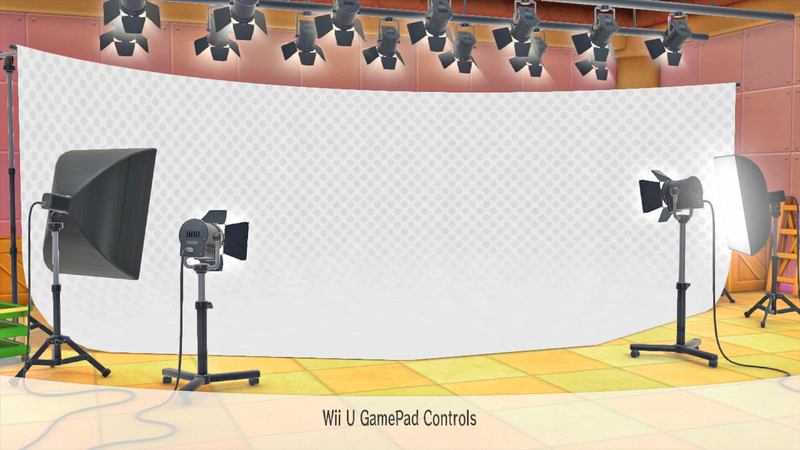 But hey, maybe you aren't on the fence about Mario Party 10. Maybe you currently own Mario Party 10, and stumbled across this article while searching the internet to find out how others feel about it. If you are one of these people, I have some advice on how best to play it. You see all those modes on the main screen? Bowser Party, Amiibo Party, Mario Party, and the questionable "Toad makes a snuff film" party? Thanks for inviting me to your studio... thing, Toad. What are we doing today again? Never click on any other options again, because God. Damn. Jewel Drop. 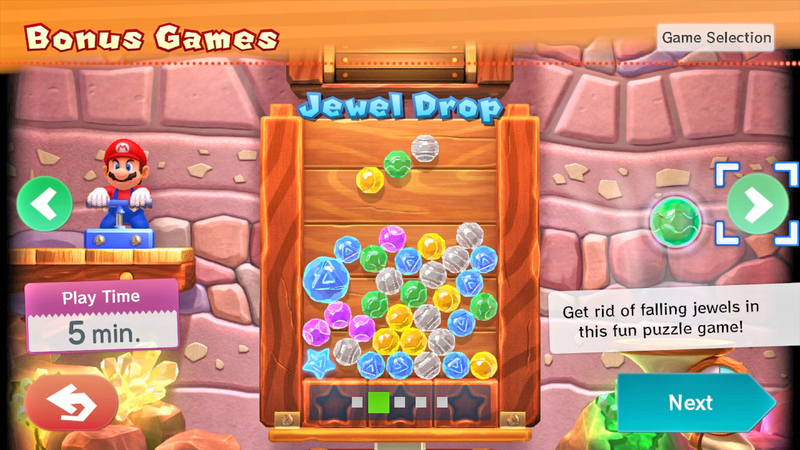 Jewel Drop is a bonus game included in Mario Party 10. For reasons beyond my understanding, this genius extra requires the navigation of at least three menus to reach, when it's easily worthy of a spot on the title screen. When you launch Mario Party 10, it should ask if you’d like to skip straight to Jewel Drop. Let me break down what Jewel Drop is all about. You might recognize this as Bust-a-Move, depending on your region. ...But the field is reversed and physics are at play. 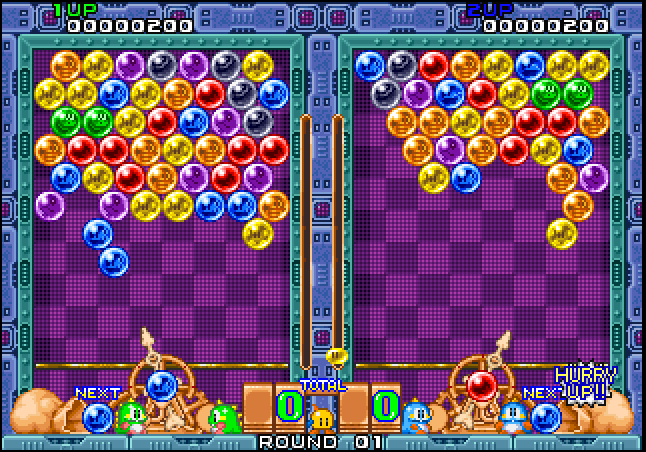 Imagine if instead of everything staying nice and orderly in Puzzle Bobble, the pieces bounced all over the screen until Newton’s first law brought them to rest. If at any point four jewels touch, they immediately pop. It’s a very simple set up; you get a row of three colored jewels. Like Tetris, you can rotate the pieces as they fall. When they land, the jewels will scatter and roll into whatever nook and cranny they can reach. If one jewel reaches the top and rolls out of the play field, you lose. That is Jewel Drop. There’s a few more mechanics at play, of course; In single player, giant jewels loom ominously just outside of the playing field. Making matches of the massive jewel’s color will shrink it down and eventually break it. If you take too long, this giant ball will be tossed into your field and get all up in your grill. You might be wondering what excitement a physics engine can possibly provide. In fact, without actually playing Jewel Drop, I bet it sounds frustrating. Pieces bouncing about while you’re trying to make matches? Where's the structure? How can a puzzle game function in a constant state of chaos? Well, there’s one more mechanic I’ve yet to mention, a mechanic custom tailored to make the chaos work in your favor - the shake. Every now and then, a color-coded star will appear. Make a combo using that star, and you'll have the power… to shake. Jewels slam into each other like particles in the Large Hadron Collider. Dark matter is being discovered. Scientists huddle in the dark, their faces lit only by the dim glow of computer monitors, as they watch numbers tick up and write furiously on clipboards. When the end seems nigh, the shake can save your life. It can also be used as on offensive tool; It’s a valid strategy to pile gems into your field with no rhyme or reason, then shake like a madman as they near the top to trigger a million combos at once. Pulling off huge strings and multiple chains in a row will send a massive jewel into your opponents’ field. Like other classic puzzle fighter games, like, um… Puzzle Fighter, this leads to tense showdowns as you and your foe send gems back and forth until someone cracks under the pressure. It`s all yours! / No, please, you take it. I insist. Nintendo has a real knack for creating simple competetive games with skill based mechanics, while still including other tools to level the playing field and keep it accessible to newcomers. There’s real skill in Jewel Drop in knowing how to arrange your haphazard rows and columns of jewels to trigger chains, but the shake? Psssh. The only real skill with the shake is knowing when to activate it. Beyond that, it’s there to eliminate the need for skill to maximize your jewel return. Experienced players still have the edge, but the shake ensures anyone can jump in and stay competetive without being dominated. I don’t know why Nintendo buried Jewel Drop away in Mario Party 10, because it’s the best thing on the disc. My friend Jacob purchased Mario Party 10 the day it came out. We stopped Mario Party-ing, but we never stopped Jewel Dropping. He's currently out of town and I still haven't stopped Jewel Dropping. We will never stop Jewel Dropping. I can only hope Nintendo chooses to give Jewel Drop the attention it deserves. I don’t know if Jewel Drop could be expanded to a full priced sixty dollar game, but a more fleshed out version for fifteen off the eshop? How about a 3DS version, for droppin' on the go? These are things we all needed in our lives, and never knew it until the release of Mario Party 10. If Nintendo rolled out a gifting system I'd buy this hypothetical product for complete strangers, just so others could experience the magic of Droppin' Jewels. Please note: the review score attached to this article is for Jewel Drop, and Jewel Drop alone. The score for Mario Party itself is a broken (but very decorative) slot machine out of 10.